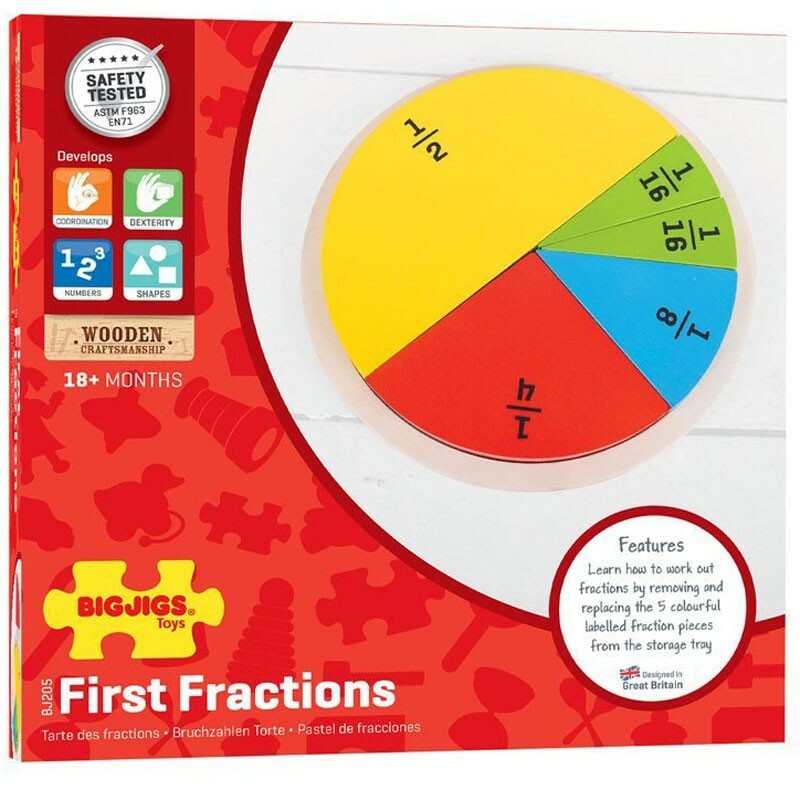 Introduce fractions from 1 to 1/16 with this easy to learn with wooden puzzle from Bigjigs. 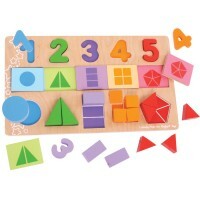 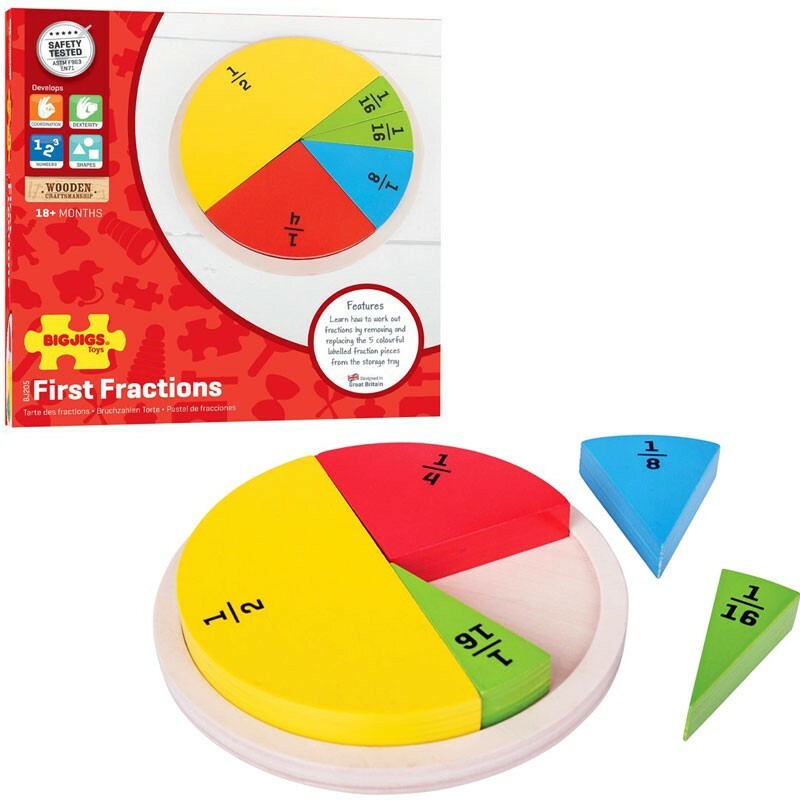 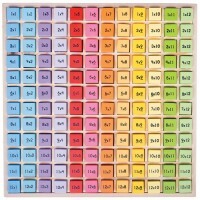 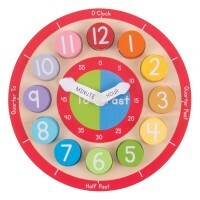 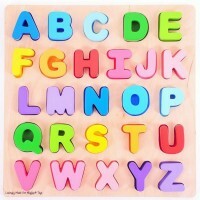 Aid child development with this colorful First Fractions Wooden Puzzle, ideal for early learning. 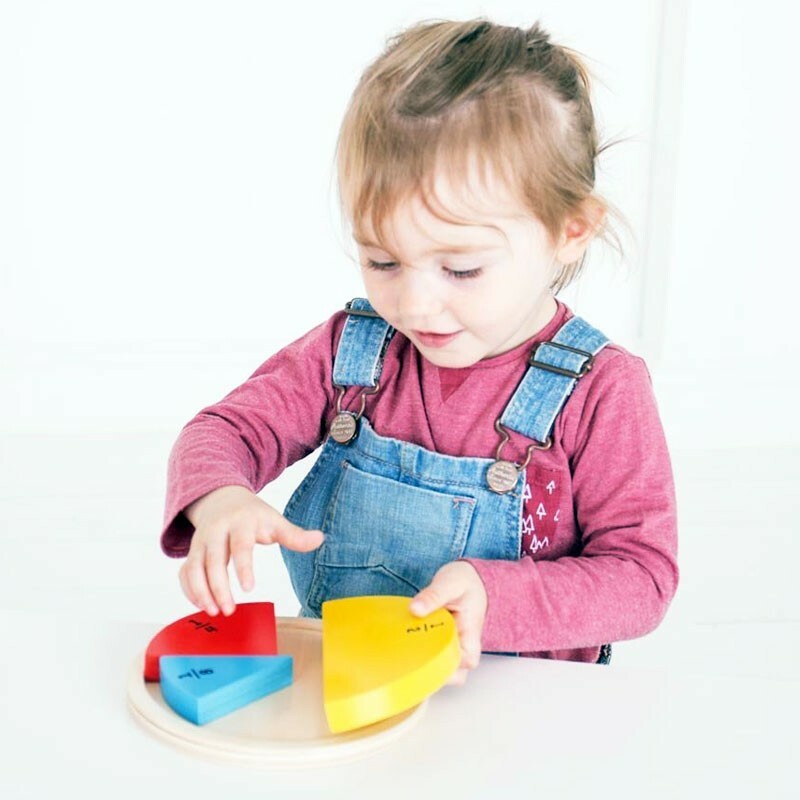 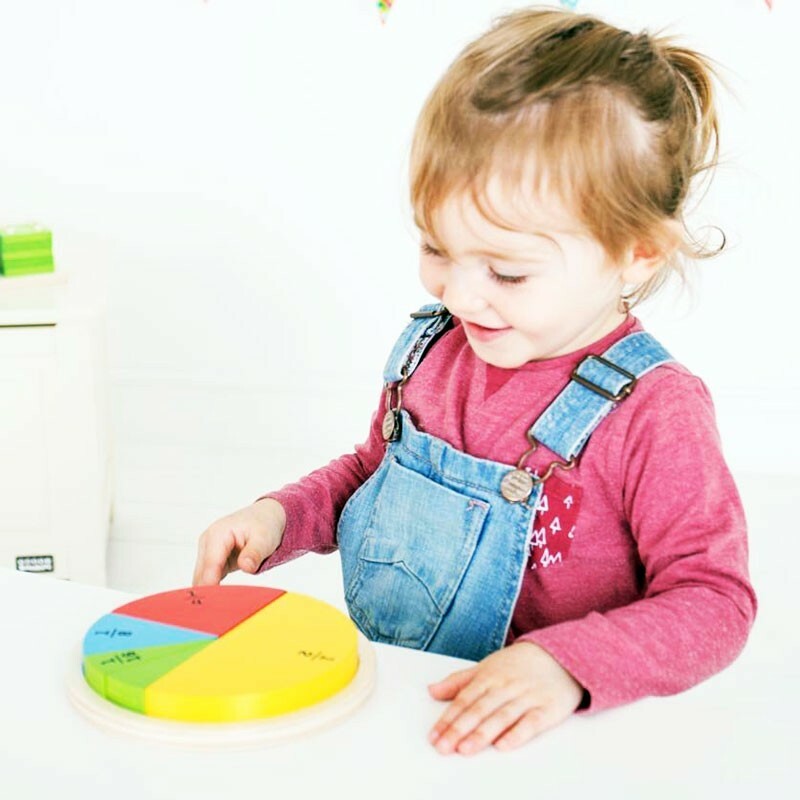 This Bigjigs' fantastically simple wooden board helps little ones to easily learn fractions, shapes and colors, encourages fine-motor development and dexterity; and improves sorting skills. 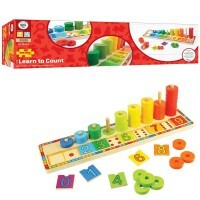 This brightly colored educational fraction board from Educational Toys Planet is guaranteed to keep young minds fully engaged. 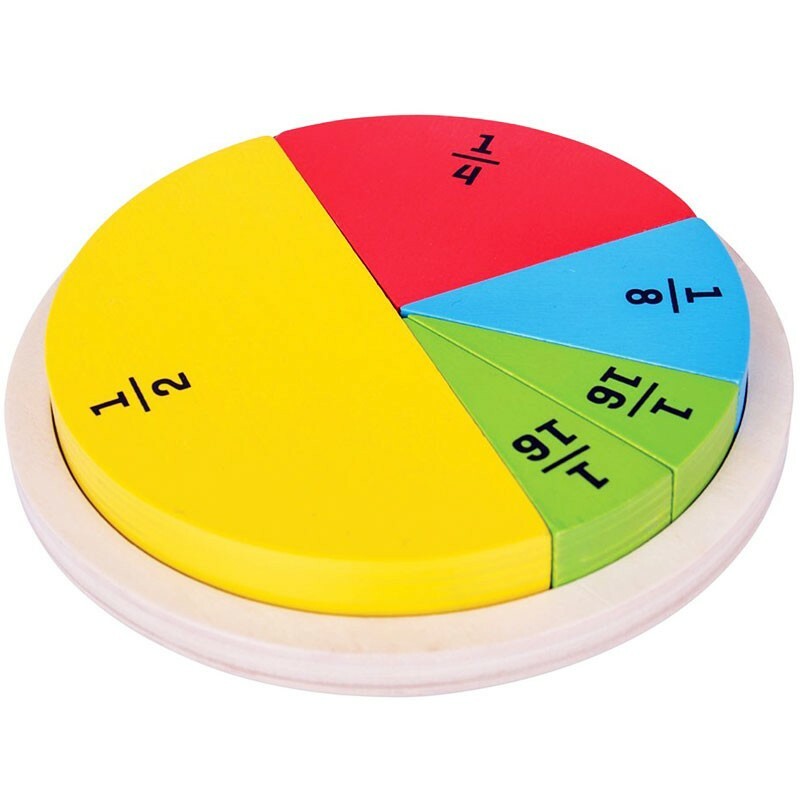 The circular puzzle includes 6 play pieces to introduce fractions from 1 to 1/16. 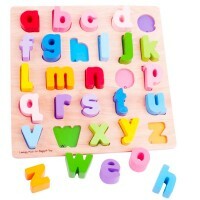 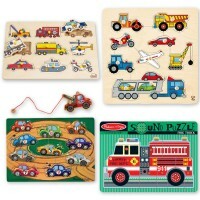 Made from high quality, responsibly sourced materials, this wooden puzzle conforms to ASTM and CPSIA safety standards. 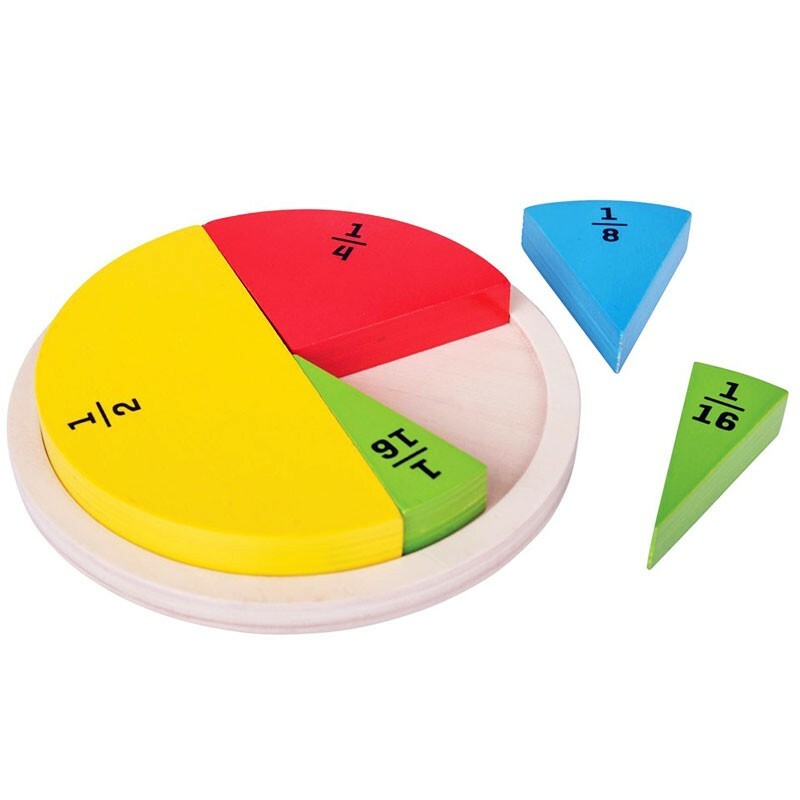 The puzzle is 10.8 inches in diameter. 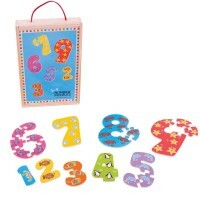 Dimensions of package 6.69" x 6.69" x 1.57"
Write your own review of First Fractions Wooden Puzzle.